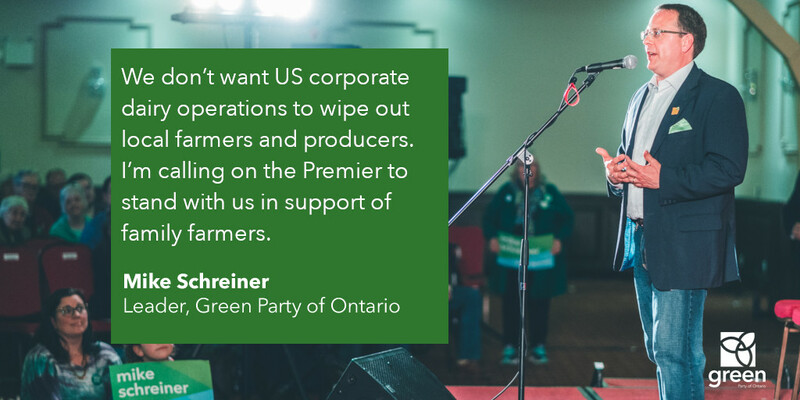 “I am calling on Premier Ford to work with the federal government to preserve family run dairy farms in Ontario and across Canada. We don’t want these family farms replaced with the mega corporate dairy operations seen in the US. Having a deal with our largest trading partner is essential for Ontario’s auto, steel, and agricultural industries. Greens support fair trade. But I am deeply concerned the federal government has sacrificed the family run dairy farm in order to secure a deal. 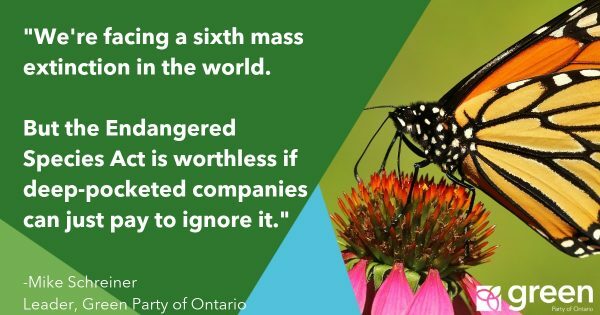 I echo the concerns of the Dairy Farmers of Canada, who have warned of the dramatic impact of ceding access to 3.6% of Canada’s domestic market. Today these farmers are speaking out about the serious risk to their livelihoods. It would be a tragedy if family farms were run out of business and replaced with US-style corporate operations. We can’t let a new trade deal open this possibility. Replacing family farms with US corporate dairy products is bad for Ontario farmers, animal welfare and rural communities. It could also have health implications due to the widespread use of growth hormones in American milk that is not allowed in Canada.